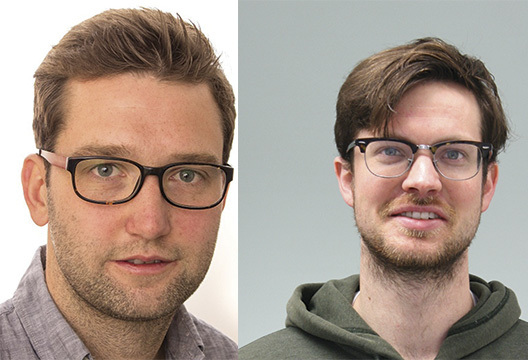 The winners of this year’s British Psychological Society Doctoral Research Award and Spearman Medal have been delving in to some of the essential processes of human experience. Dr Aidan Horner (University of York: pictured left) is the winner of the 2018 Spearman Medal, which is awarded by the Society each year to someone who has produced outstanding work within eight years of completing a PhD. Horner’s research has revealed the psychological and neural mechanisms behind our ability to look back in time and re-experience previous life events. When Horner joined Neil Burgess’s lab at UCL as a postdoctoral researcher he wanted to explore some of the basic computational mechanisms that underlie episodic memory using a mixture of brain imaging, statistical modelling and behavioural testing. Specifically he wanted to find out more about all-or-none retrieval – how we can recall a full, complex event from a single cue (such as revisiting the location of a first date), or recall none of that event. There have been hypotheses based on computational models that attempt to explain what the hippocampus does during this type of retrieval – it is suggested different elements of a memory, for example the subject, object and location, are stored in disparate areas across the neocortex and are combined within the hippocampus. Similarly when we experience one of the ‘cues’ that make up part of a whole memory of a complex event, the hippocampus aids in the retrieval of all the other parts of the memory – the music that played in the background or the person we were with, for example. Horner’s behavioural experiments and fMRI studies confirmed these neural processes when participants recalled previously learned groups of stimuli comprising a location, person and object. Horner has also investigated grid cells, which sit in the medial temporal lobe and fire in a spatially dependent way – playing an important role in representing space. These are established in the literature to be involved in navigation, both in humans and rodents, but Horner found that grid cells fire not only during actual navigation but during imagined navigation as well. Dr Neil Bramley’s PhD research, completed at University College London, has examined how humans make sense of the causal structure of the world. His work has been awarded the British Psychological Society’s Award for Outstanding Doctoral Research Contributions to Psychology. Bramley, now a Moore-Sloan postdoctoral associate in the Centre for Data Science at New York University, has introduced new ideas and approaches to the study of causal cognition in both theory and methodology – his work combines careful experimentation with sophisticated mathematical and computational modelling. While many models within psychology attempt to explain how people learn based on lab experiments they often ignore the true complexity of real-world human experience – that we are often faced with hundreds of potential variables when we are attempting to make sense of the world. Bramley’s PhD work tackled this complexity and his models suggest we build up complex beliefs in an incremental way.